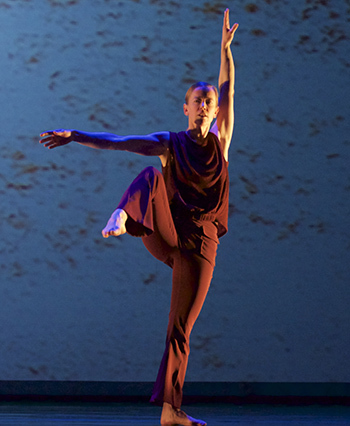 Bronwen MacArthur has danced with New York and Copenhagen (DK) based companies, performing and teaching throughout Europe, the U.S. and South America. She formed MacArthur Dance Project in 2007 and her choreography has been performed in NYC, New England, Philadelphia, Russia, France and Scotland. MDP and its collaborative work have been supported by LEF, NEFA, New Haven Mayor’s Grant, Vermont Performance Lab, Summer Stages Dance/Baryshnikov Arts Center, Silo Kirkland Farm (DanceNOW/[NYC]), Susan Hess Choreographers Project, the 2011 Ellen Forman Memorial Award and DanceUP/MetLife Foundation. From 2011-13 Bronwen was on faculty at University of the Arts in Philadelphia. She received her MFA from Smith College in 2016. Bronwen also serves as a Lecturer in the Yale School of Drama and is performing in Bebe Miller Company’s current project "Dancing The Making Room."